Where in the 315?? I'm a little farther east now, but besides the last few years, 315 was my home. I know his opinion means nothing(but no bashing, all good), just thought I'd share with u guys. It will be fun to watch, I'm sorta leaning to wanting this game in prime time. Dont care what night, but jets/browns were Thursday night last year(Darnold vs. Baker), the game Tyrod was benched and Baker made his debut. Sorta wanna see Baker vs. Allen get the spotlight. Funny video, I'm looking forward to playing them this year. I wanna see both teams healthy(no excuses) and we come away with the W!! Diggs would be nice. But another name I'd be stoked about is Danielle Hunter! But he too, like Diggs, would hurt vikings cap situation. Josh Allen, the slot WR and a summary. I know Its almost a year old and I posted it last year, but this is fitting for this thread. 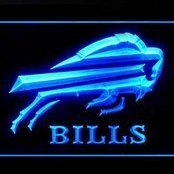 Obviously it's a team effort in the moves they have made, so I also give a shout out to The Pegulas, McDermott and Beanes whole staff!! 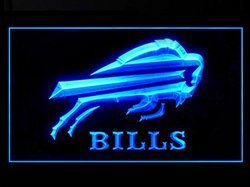 Go Bills!! I say, let's wait until the season plays out, especially Bills vs Browns game. Then after it's all said and done maybe the media will be talking different then we can reopen this topic. Only time will tell. Let's just enjoy the moment of the great offseason we are having so far!! Bryce Callahan?? Bring him in for physical? Played well in the slot, more cornerback competition. 2019 Draft Hypothetical Go Big !! Call Me Crazy But the Cards Should Do This .